I hope you'll find many new ad networks and places to buy ads from that you didn't previously know about. It's important to note that you're not going to need all of these sources. You could spend millions of dollars with just one or a handful of these select sources. Think of this report as like a mini guide to the available ad inventory out there that you may have not known about. Crack it open whenever you're looking to buy some traffic. 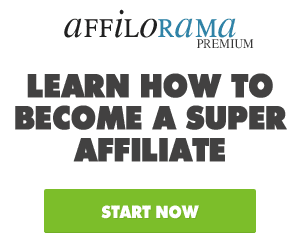 One way is to join a CPA network such as Wolf Storm Media and take their free trainings. Another way is to learn all you can from the actual ad network sites that you'll discover in this report. You honestly don't need a $2,000 course to learn about internet advertising because the best way to learn is to get out there and do it. When you're tweaking ads, when you're tweaking your bids, when you're crunching your numbers and looking at your metrics and adjusting... That's when you're REALLY learning! Money niche such as Get Google Ads Free, Health Biz in a Box, Forced Money, and Top Secret Magic Code. Fat Loss Secret, and Top Secret Car Secret. $2,500 is a nice chunk of money to risk, so before testing a JV Rocket you'll want to make sure you have tested sales material. You'll also want to be sure that your offer would be a good match for the type of customers who would buy the type of products I just mentioned above. This doesn't mean that your offers must be similar, but it does mean that the same demographic would order your product. The downside of this solo ad source is that there are no guaranteed amount of visitors you'll get. The upside is that if you have an offer that's on fire and would work well with these type of customers then JV Rocket can be a goldmine. Just remember, as with all of these ad sources in this report, you're responsible for your business and the risks you take with buying advertising. Here's what I mean. It would be easy to blow through $10,000 on JV Rockets. The inventory is there waiting for you to order anytime you want. However, it would be wise to test your sales funnel out buying solo ads on a small scale at $30, $100, or $300 a pop from "Tier 2 Solo Ad" vendors such as the ones on Safe- Swaps.com, SoloAdDirectory.com, or Directory of Ezines. After you have a tested and proven funnel that works well with the solo ads you've purchased on a small scale, then you may want to consider going big time and ordering what I call "Tier 1 Solo Ads" such as JV Rocket. JV Rocket isn't the only Tier 1 Solo Advertising available. Here are some more in various niches: Arcamax (General Consumer List), Newsmax, Self Growth, and Nextmark. LeadImpact allows you to buy traffic on a Per View basis. You're essentially buying something similar to popups. Paying "Per View" means a small window will open on their screen and it will lead to your webpage. The downside of LeadImpact is that I don't personally like how they have the minimum bidding set up. For some Sub-Categories you might have a minimum bid of .015 and for others it may be .025. I find there's not as much inventory in the Make Money and Internet Marketing niches, but there's a ton in large markets that are multiple times bigger. In case you're not familiar with "CPM," it simply means "Cost per 1,000 impressions of your ad." You'll also be bidding for ad inventory on a CPM basis. 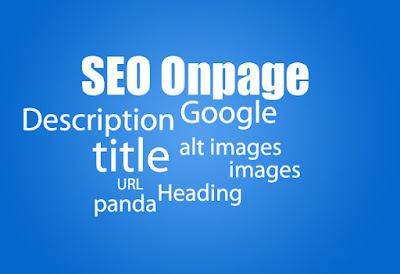 Image ad sizes include 110x80px, 300x250px, 160x600px and 120x600. Ads that makes your traffic highly targeted. Login Count, Marital Status, Religion, Search Type, Smoking Habits, Session Depth, Hair Color, and Has Car (or not). Your ads are so ultra targeted that they're not even shown to POF visitors who aren't logged in. Because you have access to so many demographics, your ads don't even have to be about dating. They can be about something totally unrelated, but targeted to the demographic you choose. There are many CPA offers out there related to dating if that's what you want to explore. 7Search is one of my favorite of the "Tier 2 PPC" networks, search engines, and the like. Google, Yahoo, MSN, and Facebook are considered "Tier 1 PPC" in my book. The great thing about 7Search is you don't have to worry about Quality Score or other headaches. You set up a landing page, you bid on keywords, and you tweak your campaigns until they're profitable. If you're looking to generate Biz Opp leads, then you may want to check out Ad Hitz. With Ad Hitz, you can do Site Specific Targeting (recommended) on some biz opp sites that get serious traffic, such as MyBrowserCash.com that gets 23,1411 unique visitors per day and ClickSense.com that gets 281,360 unique visitors per day. 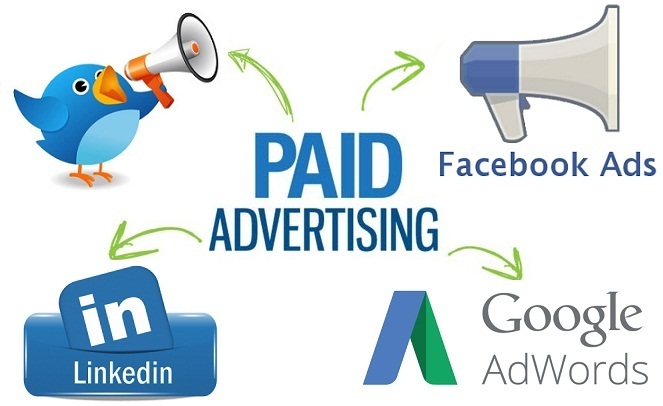 Now, if you're looking for serious Internet Marketing niche leads, then Ad Hitz may or may not be for you. This doesn't necessarily mean that these prospects are "low quality" or not serious about business, but it does mean that they're clueless about what you and I know about. So I think it's important to not take advantage of these clueless prospects. For serious Internet Marketing leads who are already more advanced, you'll want to buy an ad at the top of WarriorForum.com or run Warrior Special Offers. You won't necessarily generate all internet marketing leads there, but there are 130,000,000 business-minded members on LinkedIn to advertise to. 40,000,000 are US based. With LinkedIn Ads you don't have to pay on a PPC basis because they also offer inventory on a CPM basis (cost per 1,000 impressions). It's your choice. won't be building links on fly-by-night blog networks that get de-indexed from the search engines in the blink of an eye. You have complete control over how much you'll spend on a post when you create your listing called an "Opportunity." Blog Ads is another option for advertising on blogs, but it's not contextual like PayPerPost. Here you're buying actual ad space on a time basis. What I mean is you're not buying on a PPC or CPM basis like some of the other sources we've talked about. You're buying ads based on the amount of time they'll run on the blog. It's just like buying ad space direct from a webmaster at a fixed rate, only you're doing it through the Blog Ads network. Price doesn't go up or down based on the amount of impressions or click throughs on your ad. You'll also get the link back to your site, but just keep in mind that these bloggers will do an honest review for you and that review will be permanent. You can also create a listing for what you're looking for if you're looking to be found by bloggers who are looking to review products or services similar to your own. If you're advertising to get affiliates, then you'll want to run some ads on AbestWeb, the world's largest affiliate marketing forum. an ad can be worth much more than what you paid for the ad. With ClickBank, you're technically buying traffic, but it's no risk because you're only paying when someone makes a sale. Honestly, I'm a fan of all those programs just listed. Instead of being paid by ClickBank, you're paid directly upon each sale with PayPal. However, the marketplaces aren't even close to as old or as big as ClickBank. So there are a lot more affiliates waiting in the ClickBank marketplace to see your offer to promote than the others, but you don't get instant PayPal payments. Programs Database for a small fee. are sent from webpage to webpage checking out pages that have been "Stumbled" by other users and are related to their favorite topics. My opinion is it's a bit pricey at this point, but I also think it's a great way for companies to spread brand awareness and it's also potentially good for viral marketing. To tell you the truth, it's also possible to generate a lot of direct traffic as well. The important thing to remember when writing the press release is making it newsworthy, so you could technically do a press release for virtually anything that's happening with your website, product, or business. Run of Network traffic is untargeted and it runs to all available inventory on the network, so it's an insanely high amount of traffic. Don't expect to get any good measurable results with Run of Network traffic on Direct CPV. Just don't expect to use this type of traffic as you would other types. Of course, when you get your YouTube channel started, you will want to try and create an optimal experience for your viewers. The first thing that you will want to do, before you upload your first video, you want to check and make sure that you file name makes sense. In other words, when you upload a video from your phone or something like that, the file name will be something like ‘mov7764’ or some other random number like that. So, you will want to rename so that it has a file name that makes sense for the video. It should also contain at least on keyword that people would search for. It is not crucial that you rename your video, but it gives you the right mindset when it comes to uploading these videos. Plus, it also makes these videos easier to locate on your hard drive later on. Once you have given your video a name that makes sense, go ahead and upload it. While your video is uploading, you will want to look at a couple of different things. First, take a look at your title. This is key because your title is the first thing that YouTube and your viewers are going to see. This is what is going to show up in the search results. This is also going to become the title for your video’s page. So, it will show up in bold at the top of the page, right above your video. You will want to put keywords in your title, but you also want it to make sense and you want it to describe the video. It is recommended that you use your title as your video name, or at least a shorter version of it. When you upload the video, your file name will automatically be inserted as the video’s title. You can, of course, edit this if you need to. Then, after you create your title, you will need to add a description. Keep in mind that the description is the only other text on your video’s page that you have any control over. Everything else, YouTube takes control of. So, what you will want to do is place keywords within your description. The reason why it is important that you do this is because if these keywords match what a viewer is searching for, they will show up in bold within the user’s search results. So, for example, you could say something like ‘How to create good quality video’ in your description, and if someone searched for ‘good quality video’, then the keywords in your description will show up in bold in their search. You will want to put 300-500 words in this description. This doesn’t need to be a transcription of your video; it just needs to be a short description of your video. Probably only 20% of the people on YouTube will read this, but this is a very powerful tool when it comes to SEO and your video’s ranking. You can also put links in your description. Links are very good because they allow you to ask for user interaction when the video is complete. If you use a link, it needs to be relevant to what the video is, however. You want to make sure these links add to your video. You also have the ability to use tags to promote your video. These tags are keywords that you want to relate your video to, and you will want to include at least 10 of them. As you come to the end of each keyword, you can divide them by a comma or you can hit ‘Enter’ at the end of each one. Keep in mind that it makes a difference whether these are plural or not. So, if you want your video to come up when people search for the term ‘video’, than you might want it to come up for the word ‘videos’ as well. Therefore, you would want to use both tags. These tags, of course, need to be relevant to your video. Hopefully, you have done some research to know exactly who your ideal viewer is, what they will be looking for, and what they will be searching for. That is the best way to target your ideal viewer. You are not trying to get everyone who is searching on YouTube to view your video. You are trying to ring in the people that are searching for things that are related to your video. Even if you are making a how-to video, you wouldn’t want to use ‘how to’ as a tag. That is because this will bring about a lot of unrelated searches. For example, if you were making a video on how to make a good quality video, you wouldn’t want it to come up when people search for things like ‘how to build a bicycle’. So, you won’t be reaching your target audience. Therefore, you want to use specific tags that make sense for your video and that will draw in people that are looking for information related to what your video is about. Next, you will want to set up your privacy settings. In this case, you will want to make sure that this is set to ‘Public’. That way, people can publically search for it. After that, you will want to make sure and select the appropriate category for your video. For example, if you were going to make a video on how to make good quality videos, you might want to choose ‘Howto & Style’. Again, you are trying to get targeted viewers so choose the category that will work best for your particular video. Down at the bottom of your set up page, there will be a number of thumbnails to choose from. Once you have a few videos uploaded and people begin viewing them, an option will be added that allows you to upload thumbnails of your own. A couple of other extra features will be added to your channel as well. You have to show that you are going to be actively involved with the site before any advanced features are provided by the site. You will want to choose the thumbnail that will most likely grab people’s attention. If possible, you want to use the one with bright colors and contrast and/or something that will spark the user’s interest. Your changes should save automatically, but if they do not, there will be a ‘Save’ button at the bottom of the screen that you can click on to save them. In any case, you will want to make sure that your changes are saved before leaving this page. When you are done, go ahead and load up your video’s page by clicking the link that is right underneath the title of this set up page. In the picture above, you can see the video page for the test video that was created for this presentation. Underneath this video, there are a number of different tools available for your use. One of the tools that you will find is a ‘Captions’ tool. When you use this tool, your video will be scanned and some voice-to-text recognition software will be used to create a transcription and add in text for people who can’t hear. This does something else as well. You see, YouTube uses the captions to better index your video. Since YouTube uses these captions to index your video means that you will want to include them in your video. The only problem with this is that the transcription isn’t very accurate. However, you don’t have to rely on YouTube’s software to create these captions. You can create them yourself, you can hire someone to transcribe your video, or you can have a service online do it. There are all sorts of services that you can use. Just perform a search for ‘Transcription’ on Google or something like that to find them. Fiverr.com is one place that you can go to get something like this done. The reason why it is so beneficial for you to do this is because YouTube will use the words in the captions as keywords. In other words, every word that is said in your video will become a keyword. This can be very valuable, and it is something that a lot of people do not know about. When you are ready to add your transcription, you can click on the ‘Captions’ tool and you will be brought to a new page. Now, to the right of the video, you will see an ‘+ Add captions’ button. Click on this and a couple of different options for doing this will appear. First, you can choose to ‘Transcribe and Sync’. This takes a little while, but YouTube will do this for you. Then, you can go through the transcription and edit it. You can also choose to upload a transcription that you have had created for your video. If you remember, ‘user engagement’ was previously discussed in this training. Unfortunately, user engagement is something that you have no control over. You have no control over which videos are listed on the right side of your page. YouTube puts these up, and you have no control over which are chosen. You don’t have any control over your comments or ‘Likes’ that your video gets either. You can have some influence over this, however. For example, you can place an annotation in your video. Down below your video, beside the ‘Captions’ tool, there is an ‘Annotations’ tool that you can click on to do so. When you click on the ‘Annotations’ tool, a new page will open up. You will see that there is a video timeline down at the bottom which will allow you to move through the video frame by frame. When you reach this page, the video will begin playing automatically, so it is best to go ahead and pause it. Then, you can load it out almost to the end in order to place your annotation. To the right of the video, you will see an ‘+ Add annotation’ button. Click on this and a dropdown menu will open up. Within this dropdown menu, there are several different types of annotations to choose from. Click on one of them to select it, and now you can enter in any message that you like. You can see that there is an annotation placed in the video pictured above. It says ‘If you liked this video please add it to your favorites!’ Now, do you see how you can use this feature to influence your user engagement? You can click and drag this ‘Speech Bubble’ in order to better position this annotations. There are some options over to the right that you can use to better position it’s time placement as well. Since you have put this annotation in right before the end of the video, you can see it pop up at the end of the video and fade out right before the video ends. Again, you can set this to appear for a short amount of time or a longer one. Make sure that you allow enough time for people to notice this and finish reading it. Again, you have all sorts of settings available to the right of the video that will help you make this message more noticeable and better placed if needed. As you can see, you can use these annotations to influence your viewers to become more engaged. In other words, you can use this feature to ask your viewers to do something for you, whether it is to subscribe to your channel, add it to your favorites, share the video, etc. You can even ask for video comments. For instance, if there is something in the video that would warrant a comment or a response, YouTube allows your viewers to be able to do that. One thing to keep in mind, when asking for comments, is that you will need to respond to every single one of these comments. That shows your viewers that if they have a question or comment, you are always there and always responding. You can also ask for a video response. If somebody responds, YouTube sees that as very, very valuable. Think about it. When someone responds to your video like that, it means that it is powerful enough to provoke action. It also shows someone liked it enough to take the time to make their video response, which is far more difficult than making a regular text response. The biggest thing to keep in mind is that if you do not ask your audience for their involvement, they will not get involved 99% of the time. Even if they like the video, viewers generally will not take action unless you request it. If you ask for them to take action in some way, however, then you exponentially increase the chances that they will do so. So, whether you want them to ‘Like’ the video, adding it to the video to their favorites, or leave a comment, let your audience know. 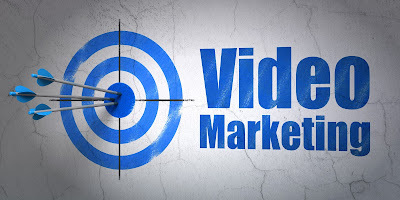 The basic tools you need to start video marketing are very simple. You need something with which to record and something with which to edit. Your computer might have a built-in camera that can be used for recording. This may be suitable for recording vlogs, but otherwise it's quite limited. You can also buy a simple, inexpensive camera that you can attach to your computer for more flexibility and better quality in picture and sound. To produce more complex videos, you need better gear. Small digital cameras, which can quickly and easily dump recorded data onto your computer are cheap and easy to operate. You can actually make videos without using a camera at all. There are tools (some of which are discussed below) that can be used to make slideshows, cartoons or screen capture videos. These offer easy, all-in-one video production. It all depends on the types of videos you want to make. For editing, you need a video editing software program. These range in complexity and quality, as well as in price. There are free programs and premium programs that offer more features and better quality. Investing in more advanced tools can allow you to make much better videos. You can have much more power over the content of these videos. There are advanced editing tools, for example, that automatically edit or brush up your videos, saving you time and possibly producing better videos that you could've produced on your own. Other tools automate steps in the video production process or automate your SEO. By investing in more advanced tools, you can produce better videos, reach a wider audience, and streamline the production process. However, you should be careful to only invest in tools you need and will actually use. Products that offer at least a free trial. It's nice to give a the types of videos that will help you achieve your goals that you can use online. Take the time to read some reviews and seek out recommendations program a test drive before you purchase to make sure it does what you want. Wideo is a free tool that allows you to create cartoons. It has its own design elements or you can add your own music and graphics. GoAnimate is similar to Wideo but is higher quality and there's more that you can do with it. It's also a premium program, not free. Viewbix is a premium tool that enhances your videos in various ways to help you with branding. It offers analytics and tools for driving traffic. You can use Powtoon to create videos that are a cross between cartoons and PowerPoint presentation. 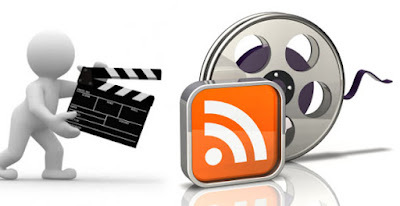 You can plug in your content and it will create explainer videos. Powtoon is free but there is also a premium version that has more features. Prezi creates dynamic presentation videos on a 'virtual canvas.' You create the presentation and then can zoom, pan and move around it, explaining its various parts. There are free and premium versions. Camtasia is the leader in screencast programs. It allows you to film your screen, making a video out of whatever you're doing on your computer. Camtasia is very simple and easy to use, and offers full editing capabilities. It's a paid software program. The YouTube Editor is free and already integrated into YouTube’s editing interface. It helps you with various aspects of posting videos to YouTube, while giving you basic editing capabilities like captions, customer thumbnails, and calls-to-action. you. There are free and premium versions. You can use Microsoft Office’s PowerPoint to create videos just by recording a presentation. For many people who own PowerPoint 2010 or above, this is one of the easiest ways to create quick videos and post them to Youtube. Windows Movie Maker is a great tool for those with Windows machines that want to start out with video editing. It’s easy to use, comes as a free program and has a variety of great features. iMovie is the Mac equivalent of Windows Movie Maker. Again, easy to use and with some fantastic features; as well as being a free program for Mac users, iMovie is a fantastic place to start. Animoto is a highly-rated, easy to use and feature-rich online app that you can use to create and edit some great videos. The Lite version is free, but it is somewhat limited. It does however give you some idea of the capabilities of the software before you buy the full product. There are many more tools available beyond the ones listed above, but this gives you an idea of how tools can help you. Start by deciding what specific kind of help you need and look for the tools you need to do that. 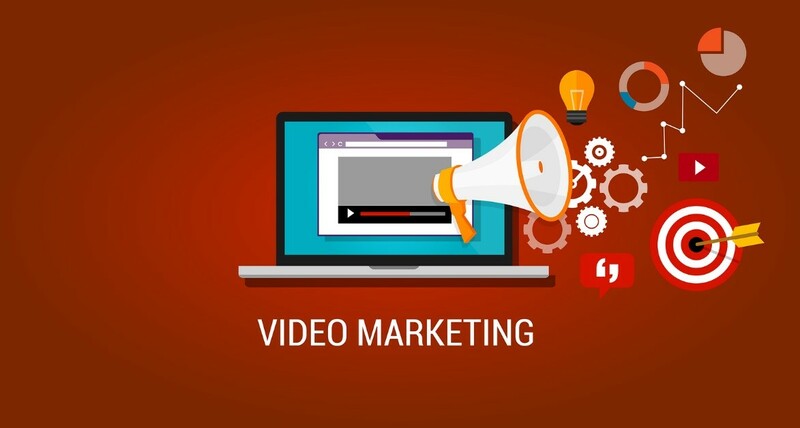 Video marketing is a highly effective strategy for achieving a variety of your business goals online. 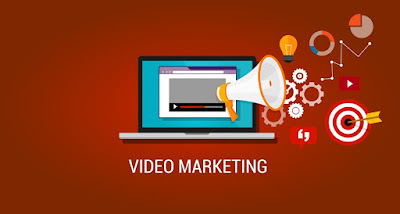 It also happens to be one of the methods that many marketers hesitate to use, simply because they don’t know the ins and outs of making and promoting video on the web. So, why should you care? 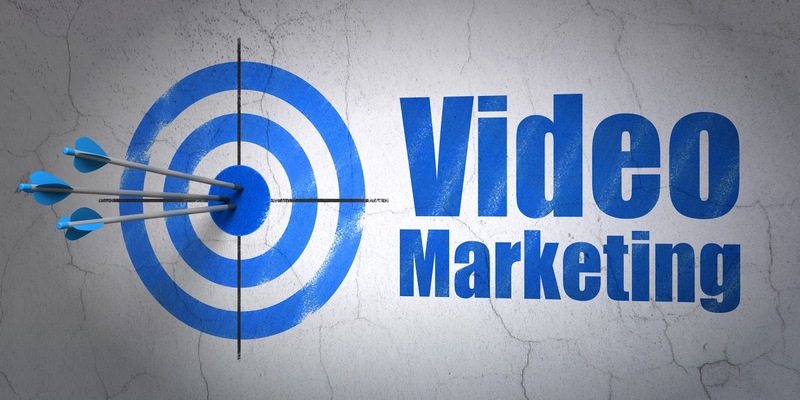 Why should you make sure that video is part of your marketing tactics? Web users love videos. They're fun and easy to digest. Plus, they give you a connection directly to the brands you love. For marketers, another great advantage of video is that video content is among the most shared content on social media. The importance of monitoring your video marketing and some direction on how to do that. If you’ve been confused by video or have been putting off including video in your marketing, now’s the time to get started. This course will guide you in the right direction, so that you can get over those first hurdles. In no time, you’ll be tapping into that huge part of your target market who love watching and learning from video.